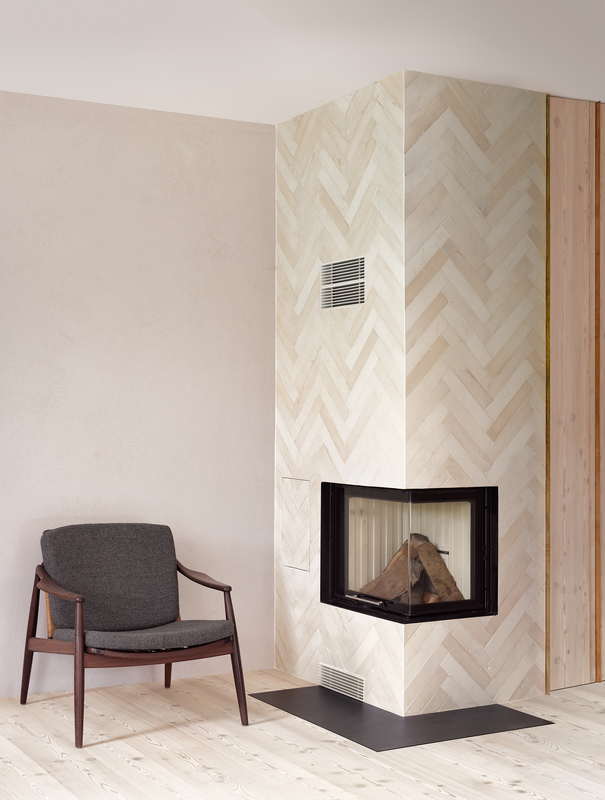 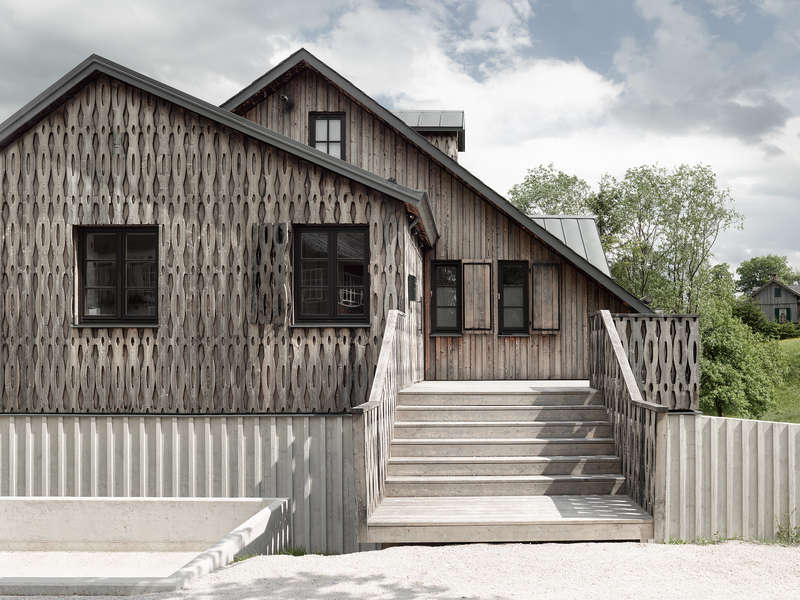 An old barn, which was extended and adapted without permit throughout decades is converted into a modern single-family house, playing with traditional elements and testing the boundaries of local design guidelines. 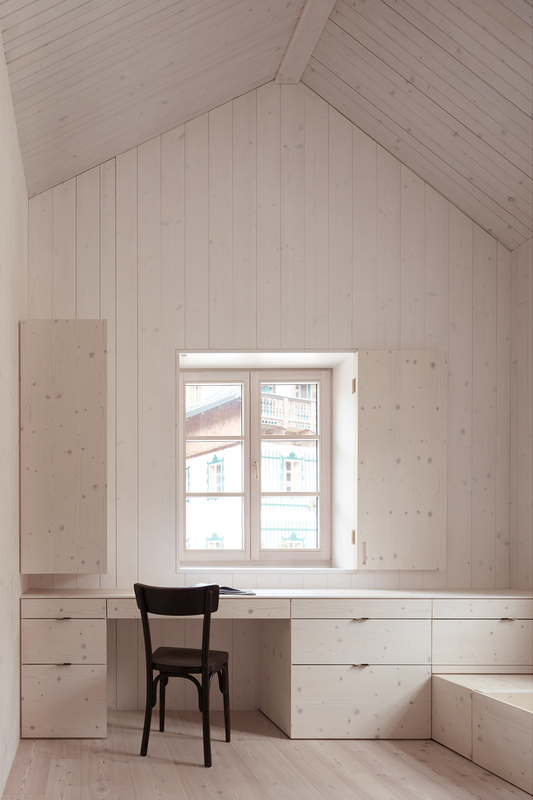 Even though the internal setup is completely restructured, the outline of the original barn is basically maintained. 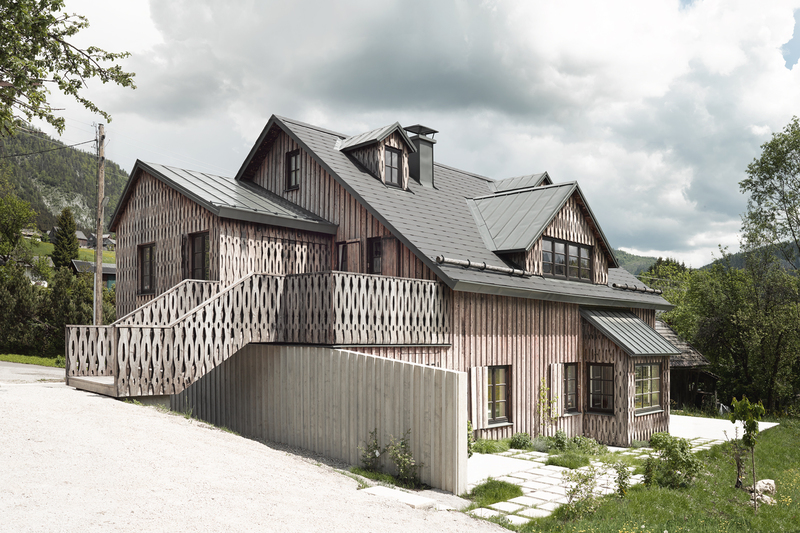 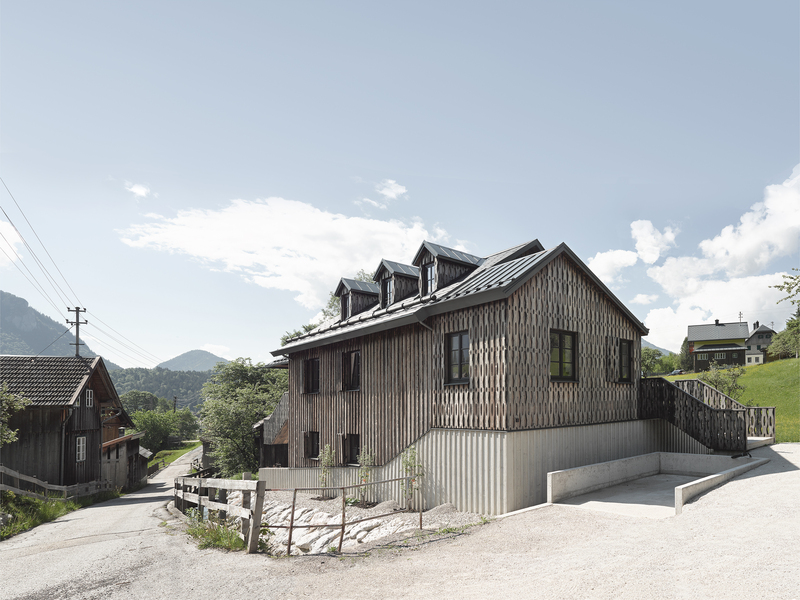 The outside of the house is primarily clad with charred and washed vertical larch planks applied in a traditional fashion, where as the building additions are entirely covered using a new interpretation of a local historical ornament cut out of larch boards. 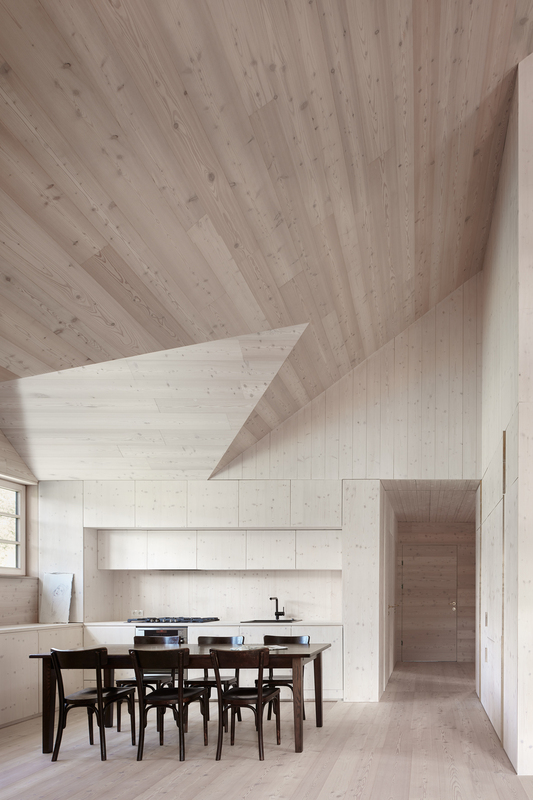 The interior is divided into the solid construction of the lower floor and the wood-frame construction on top. 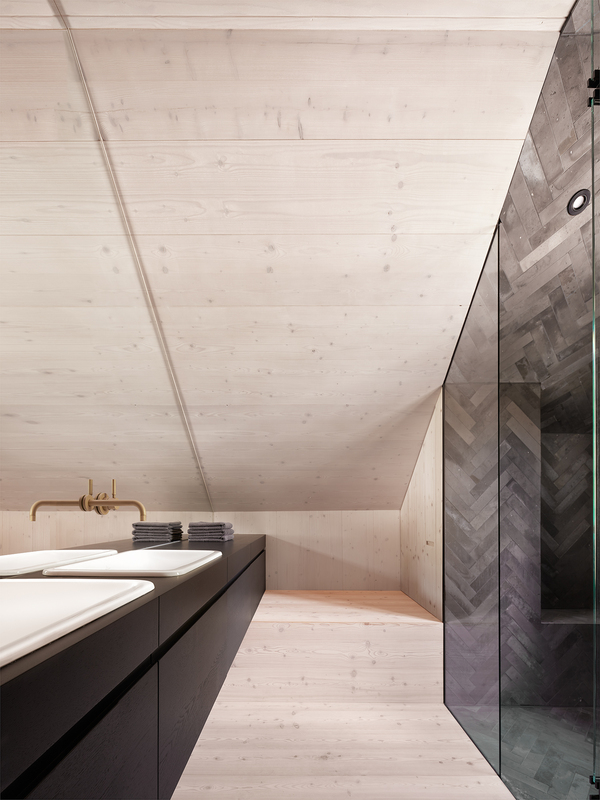 In contrast to the rather traditionally based elements of the exterior, the clear and minimalistic rooms inside create a modern and distinct setting. 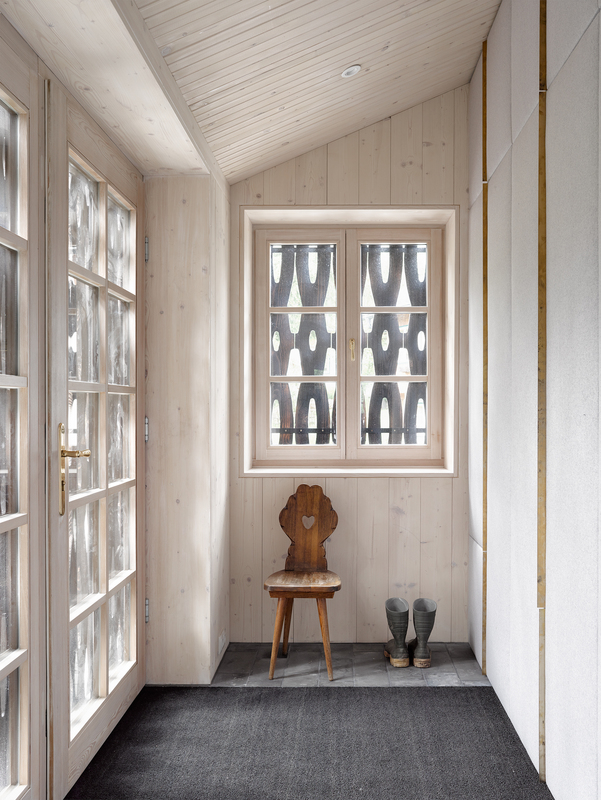 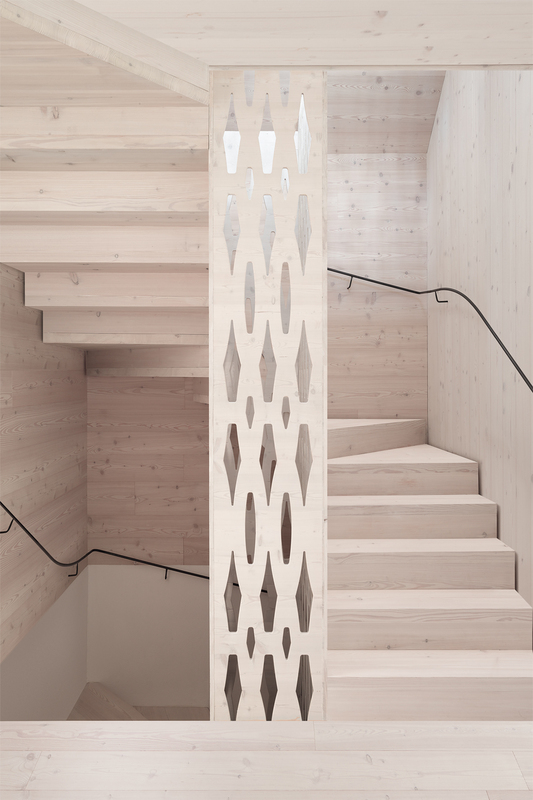 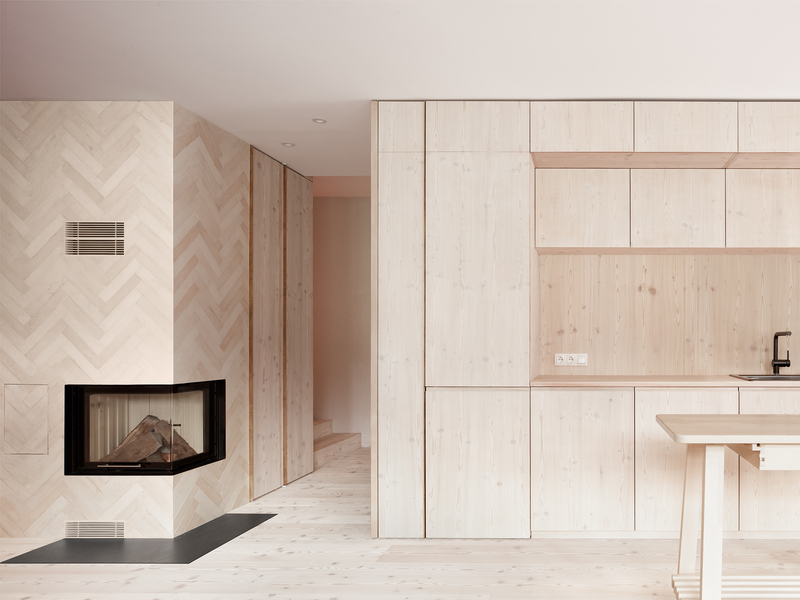 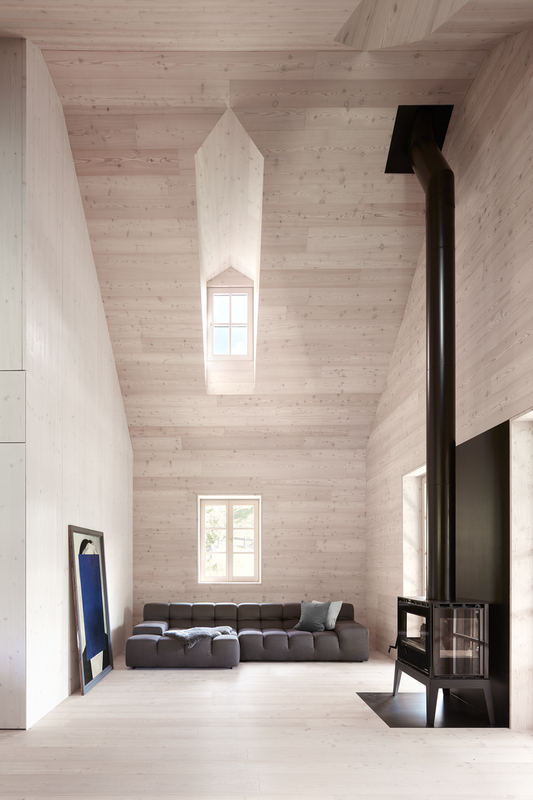 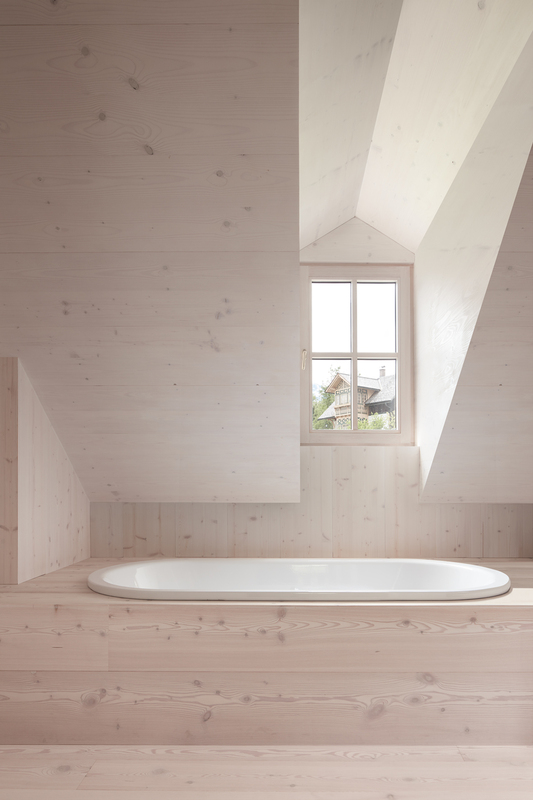 The internal surface of the old barn was clad in white oiled larch where as the new spaces where created by installing a solid wood structure standing out from the old composition.